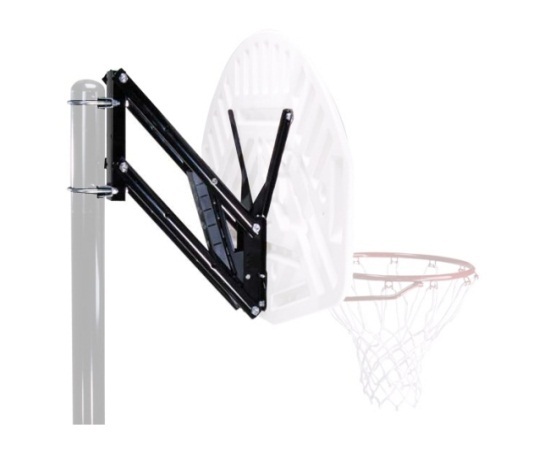 Lifetime Quick Adjust 1044 Kit includes Lifetime Basketball Backboards mounting hardware to mount to walls and 3.5 diameter basketball poles. 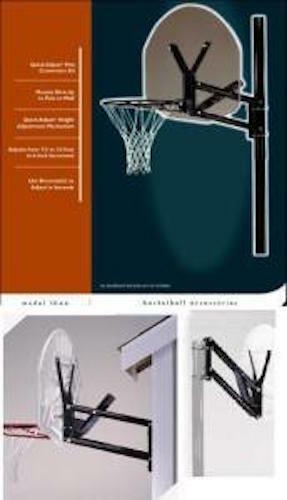 Lifetime Basketball Backboard Mount Lifetime adjust system works with all Lifetime backboard and rim combos. Note- This is a backboard mounting bracket only. 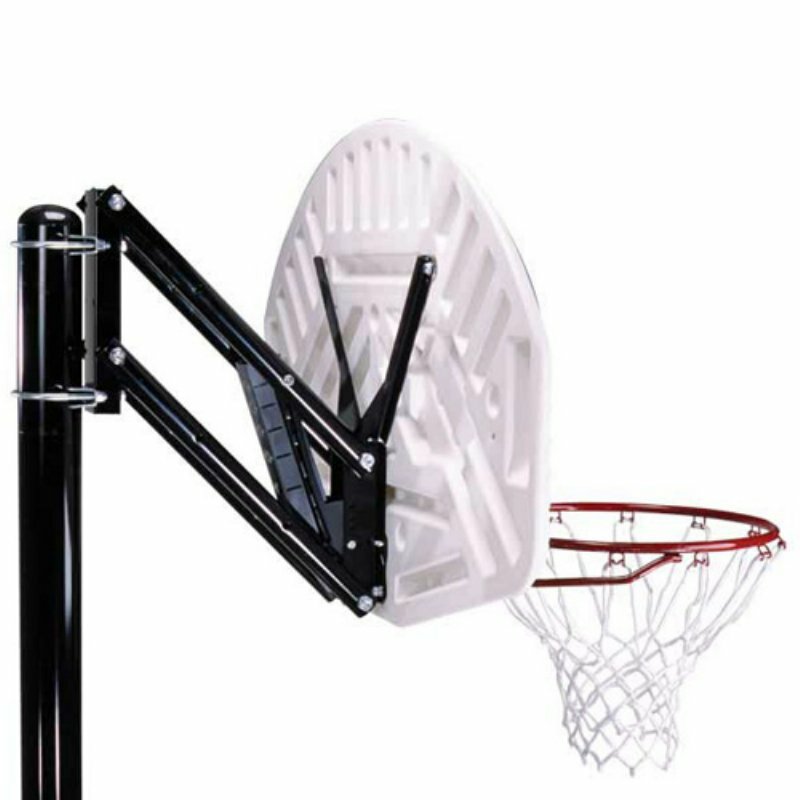 The 1044 does not include a backboard, rim, or pole. Hardware (lag bolts) to attach this bracket to a wall is not included, but can typically be purchased at a local hardware store. 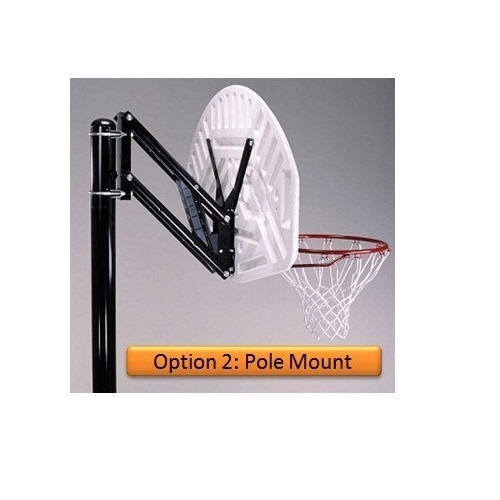 We carry adjustable pole mounting Brackets basketball kits and non adjustable basketball brackets - mounting kits. 9594 fixed-height bracket for Lifetime backboards. 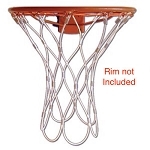 View our Lifetime Sporting Goods	basketball backboard and rims and	Lifetime basketball goals. 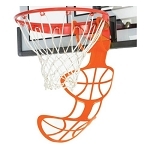 We also carry other backboard wall mounts and Lifetime Basketball Products. 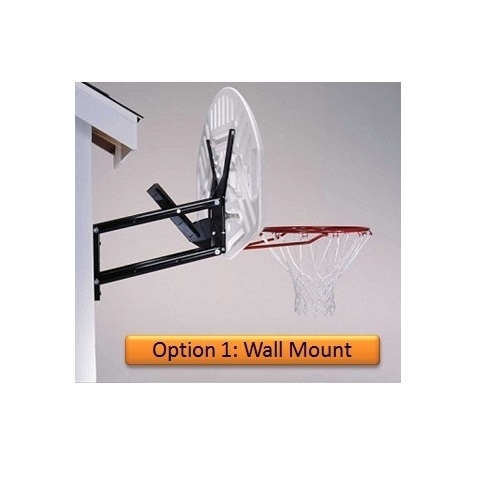 Purchase lifetime backboards+pole mounting brackets lifetime basketball accessories together from Competitive Edge Products, Inc. - We offer volume discounts for most Huffy and Lifetime basketball mounting kits and Lifetime Products. This chart provides you some general information about compatibility with backboard systems and mounting locations. Please contact us with any questions you might have about this bracket for your specific needs. Good, sturdy product at a good price. Quick response, fast shipment, nice product, A++ seller! Fast Delivery, Great Product, Nice !!!!!!!!! Item as described, well packed and shipped quick. Would buy from again. Q: Will this work with a Spalding 54 acrylic backboard? 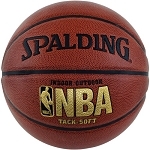 A: These brackets are a lifetime brand and they do not work with any Spalding backboard model. They only work with lifetime backboards. A: Unfortunately, lifetime does not make a bracket that fits a pole larger than 3.5 inches. Spalding makes a bracket that fits 4 inches square, but that's as big as we have. Feel free to contact us with any other questions. Q: does this work with all lifetime basketball back boards? 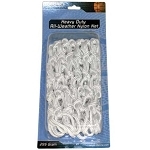 A: No, it does not work with all Lifetime backboards, but it does work with all Lifetime backboards we carry. Q: Can I exchange the Horse shoe clamp that goes around pole for a larger one to work on a 4.5" pole? On the 1044 Bracket. A: Yes, you would need a larger set of u-bolts and receiving saddle brackets for those u-bolts. We don't carry them. Sometimes fencing companies carry them. if you find a place please let us know. Q: Do you make a mounting bracket for a 4.5" pole? A: We don't. We only have brackets that fit 3.5" round poles and 4 inch square poles. Q: Please send me instructions on how to adjust the height? I installed this mounting bracket and a Lifetime Backboard Rim Combo last summer and I've had difficulty raising the height once it's lowered. A: The instructions are there on page 9, but there needs to be more emphasis on the placement of the "broom stick". The stick needs to be in front of the back board on the Rim plate to raise the height, and behind the board on the Latch release to lower it. Look very closely at the pictures for the placement of the stick. A: The instructions are available in this listing if you click on the instructions tab below the picture towards the right. Feel free to contact us with any other questions. Q: Which kit to order for a square pole? A: The Spalding 316 bracket will work with a 4 square pole. None of our Lifetime Brackets will fit with a Square pole. Q: I want to mount on a wall. How far is it offset when at 10 feet? A: This mounting kit at its highest height is about 1' above the mounting bracket (it is recommended that you mound it at 109” above the ground for optimal adjustment) and at its farther extension point it measures about 22 out from the wall. Q: I need to know if this item has shipped to my address yet? A: The shipping department is not working this week due to the holiday, so orders placed during this time will ship out early next week as explained in your email. Q: Will this work on 4" Round poles? A: No, this only works on 3.5" round poles. Q: How does this adjust? A: This adjusts using a Quick Adjust® II Adjustment which adjusts from 8’ to 10’ in 6” increments. You will need a pole of some kind, like a broom handle in order to adjust the mechanism. Q: Is the Pole included? A: The pole is not included. This product is just the mounting bracket. It is assumed that you are using your own pole or wall. You would also need a compatible backboard to mount this bracket. Any Lifetime backboard and rim combo said would be compatible with this 1044 bracket. Q: I have the Lifetime model 73729 backboard and rim. I have the Lifetime 3 1/2 in pole. 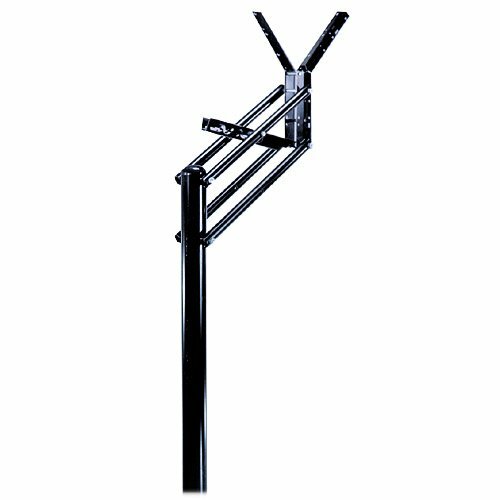 Is "Lifetime Basketball Backboard Mounting Bracket 1044 Adjustable Height" what I need? A: This will fit on a 3.5" Round pole, and I believe that the Lifetime Backboards are made to a standard size so it should fit. A: You can measure the circumference and multiply it by pi (approximately .32) to give you a rough idea of what the diameter is. Q: Should I put the mounting kit on the pole before attaching the backboard or attach backboard after putting the mounting kit on the pole? A: You would need to attach it to the board, then to the pole, then you add the rim. Q: Will this mount to a 4.5" round pole? A: This will only mount to a 3.5" round pole or a wall. Q: Will this work with a 3" pole? A: This will not work with a 3 inch pole. It only works with the 3.5" or a wall. Q: is this mounting bracket good for bolt 3" and 3.5 " poles? I hope to install this at a community center what backboards are accepting of this mount ? A: 3.5" round only I'm sorry to say. Q: What types of poles can I mount this on? A: You can mount this to any pole that is 3 1/2 inches round in diameter, but the pole also needs to be at least 8.5 feet out of the ground. Q: Can this be mounted to a pressure-treated 6 x 6 post or a telephone pole? A: This can be mounted to a 3 1/2 inch round hole or a wall. If you mounted to a wall or a flat surface you need to make sure that the dimensions are at least as wide as 16" W x 20" L". Q: What is the recommended backboard width for this mounting bracket? Is their a maximum weight? We are going to wall mount indoor. need to understand what our backboard limitations are as we do not have one picked out yet? A: This mounting bracket only works with lifetime backboard and rim combinations. It does not work with any other brand. Regarding the weight As long as it is lifetime brand the weight doesn't matter. If you are mounting into a wall it should work just fine as long as you have a surface area of 16 W" x 20L ". A: That works fine as long as the surface you have is 16 W x 20 L" or larger. You can simply use the wall mount option in the instructions. Q: I would like to attach an existing plywood backboard and steel rim to this wall mounted bracket. Can this bracket support a wooden backboard? A: It cannot I'm sorry to say. The polycarbonate boards that are designed to go with it have steel channels that support the board with the specific bracket. Q: What backboards can attach to this bracket? A: This bracket can attach to a 3.5 inch round pole or a wall. If you are wanting this bracket to attach to an existing pole, to get your rim to a regulation, 10-foot height the pole needs to be at least 8.5 feet out of the ground. If you are attaching this bracket to a wall, you will need to purchase lag bolts to attach the bracket to the wall from a local hardware store. 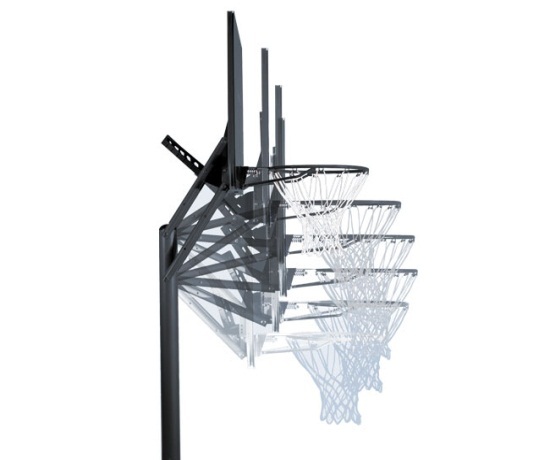 A: Any of our retailed, Lifetime backboard and rim combos are compatible with this bracket. Fast Shipping: Orders for the 1044 Mounting Brackets generally leave the warehouse the next business day. Dimensions: 26" x 10" x 4"